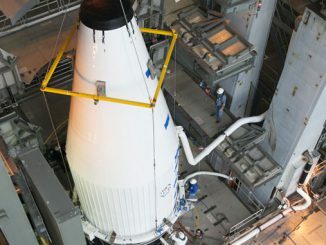 NASA’s OSIRIS-REx spacecraft moved a step closer to starting a voyage to explore an uncharted world in our solar system — the mountain-sized Asteroid Bennu — by joining the booster rocket that will propel it from Earth next week. 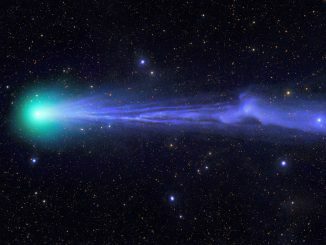 Comet Lovejoy soars through the night sky in a green haze with an ion tail in its wake. This image shows Lovejoy appearing to lose its tail on 21 January 2015. 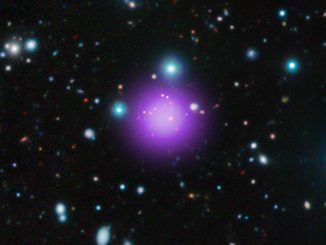 A new record for the most distant galaxy cluster has been set using NASA’s Chandra X-ray Observatory and other telescopes. 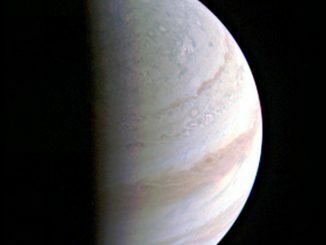 CL J1001+0220 is located about 11.1 billion light-years from Earth. The discovery of this object pushes back the formation time of galaxy clusters — the largest structures in the universe held together by gravity — by about 700 million years. 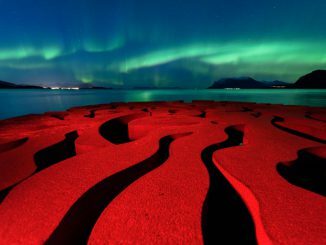 The rusty red swirls of the circular, iron sculpture Seven Magic Points in Brattebergan, Norway mirror the rippling aurora above. 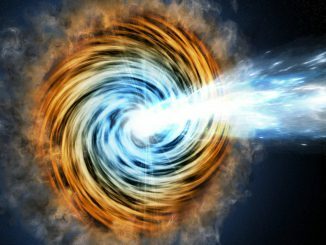 Astronomers studying distant galaxies powered by monster black holes have uncovered an unexpected link between two very different wavelengths of the light they emit, the mid-infrared and gamma rays. 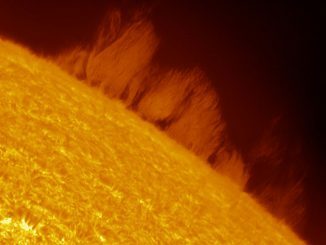 A searing solar prominence extends outwards from the surface of the Sun. The ‘wall of plasma’ is the height of three times the Earth’s diameter. 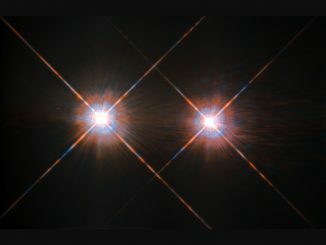 The NASA/ESA Hubble Space Telescope has given us this stunning view of the closest bright stars Alpha Centauri A (on the left) and Alpha Centauri B (on the right), at a distance of 4.3 light-years from the Earth. 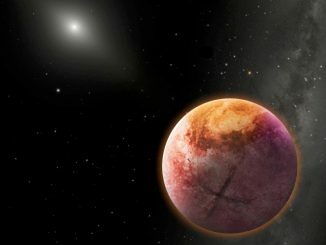 The Alpha Centauri group is completed by a faint red dwarf, Proxima Centauri (not shown), recently revealed to possess an Earth-like planet orbiting in its habitable zone. 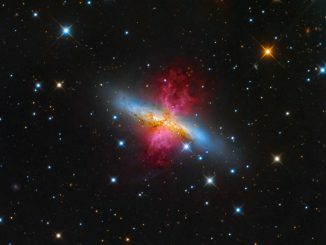 About 12 million light years away from our planet, lays the starburst galaxy M82, also known as the Cigar Galaxy. In a show of radiant red, the superwind bursts out from the galaxy where a plethora of stars are forming.